Whether you seek the advantages of durable and cost-effective laminate wood flooring, stone, tile or metal, our diverse product line offers the best collections from the best manufacturers. When laminate wood floors, also known as “floating tiles” came to market in the 1970’s, they caused quite a stir. Residential and commercial consumers like laminate for its versatility, durability and affordability; three dynamic reasons to consider our top-of-the-line laminate wood flooring. Diversity, practicality and affordability drive the laminate flooring Fort Worth marketplace. In the US, laminate flooring is also known as floating wood tile but today, laminate floors can have the appearance of stone as well as hardwood. In moisture-prone rooms or areas that are below grade, many homeowners and businesses choose laminate flooring solutions to neutralize the effect of moisture. But, there are other reasons, such as pets and heavy traffic, to consider laminate flooring. Laminate wood flooring is man-made, not a natural product like hardwood. Yet, it is durable and offers many designs that replicate wood. Like vinyl, laminate floors are synthetic but unlike vinyl, laminate wood floors are non-resilient and firm. Vinyl’s resilience means it has “give” when walked upon. Laminate is firm to the step. The laminate flooring at Hardwood Floors Fort Worth is designed to look like stone, tile, wood, leather or metal. If you have a vision, the chances are good there is an affordable laminate flooring solution for your home or office. Recognized as a leading alternative to hardwood flooring, laminate floors are easy-to-maintain and easy to afford. As popular as these floors are, when consumers understand how they are made and how easy they are to install, laminate floors usually rate even higher. Wear layer – The wear level is the top level of the laminate floor and provides the resistance to staining or fading that characterize the durability of the surface. Design layer – The design layer presents the high resolution, extremely detailed photographic image that gives the laminate floor the appearance of genuine hardwood or real stone. Inner Core – The inner core of the laminate floor is a high density fiberboard (HDF) that is comprised of wood fibers fused with resin. This is an extremely strong, very dense hard layer that stabilizes the laminate board and provides a moisture resistant, flat surface. Backing – The backing layer is the final moisture barrier and actively protects the floor from warping; one reason homeowners and businesses prefer laminate flooring for moisture-prone, sub-grade rooms. When these four synthetic layers are fused together, the lamination process is complete and the buyer has one of the most popular, durable flooring surfaces on the market. At Hardwood Floors Fort Worth, we are proud of our strong line of laminate flooring products. Contact our experts for answers about laminate floors and all other flooring choices. Laminate floors resemble hardwood or stone and are ideal for many homes and businesses where solid hardwood floors may not work or are not in the budget. The success of laminate flooring is a credit to the technology behind the floors. At Hardwood Floors Fort Worth, our laminate flooring providers have been carefully screened to ensure manufacturing processes that are reputable. If the laminate floor does not provide a true representation of hardwood or stone, the product is not in our showroom! A new trend in laminate manufacturing is the weathered metal look. Our Customer Care team welcomes you to our showroom to view the most expansive inventory of laminate flooring in the Dallas – Fort Worth area. One reason laminate is cost-effective is because the installation is relatively simple and therefore less expensive than a hardwood floor installation. Our Wood Floors Fort Worth installation team is experienced with laminate installations that typically require no adhesives or nails. Our laminate products rely on a lock-and-fold process that is clean and will accommodate almost any space. Remember that laminate wood flooring can be installed in any room, including those tricky moisture-prone basement rooms. 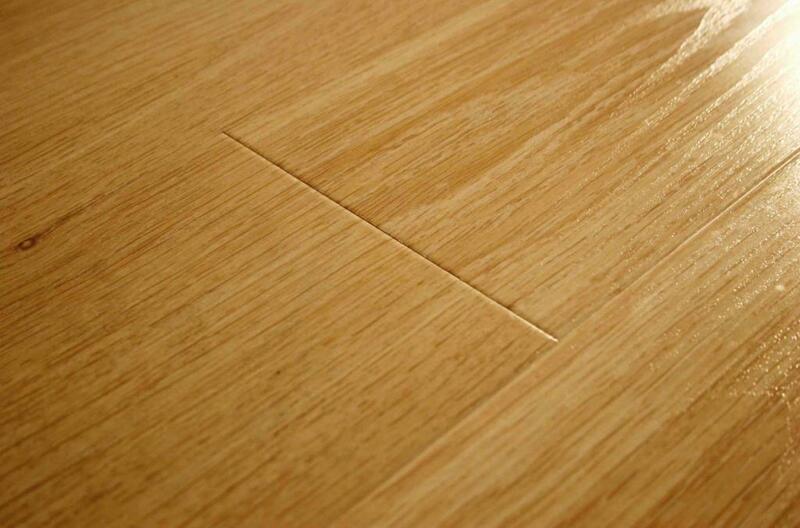 The decision to install laminate is usually based on practical concerns and budget restrictions. Laminate flooring is less expensive than hardwood flooring. From the practical side, homeowners or businesses that might experience high traffic may opt for laminate. Laminate flooring is designed for easy maintenance in hectic environments. If your business has walk-in traffic or if your lifestyle is not conducive to wood or if you are improving a room where moisture could be a problem, connect with our Customer Care professionals and get straight answers to all your questions and/or make arrangements for a free estimate. At Hardwood Floors Fort Worth, we are here to please! If you want professional advice about your home or business flooring solutions, why not stop in at our Hardwood Floors Fort Worth showroom and view the numerous videos and tutorials about the many flooring choices you have. Our Customer Care professionals are at the ready. Contact us for information today. Come on in, describe your flooring goals and your budget and let our team show you all your options. You should not invest in any flooring until you have visited the Hardwood Floors Fort Worth showroom and chatted with our knowledgeable Customer Care pros. We’ll be here waiting to transform your home or office to exactly what you want.